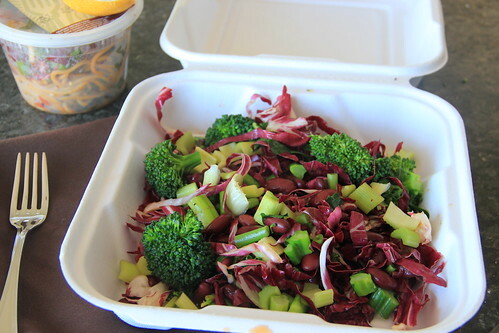 Salads are basis of all diet programs. Eat more veggies! And that’s where we falter. After a while the green salad becomes boring. We start craving carbs and bolder spicier flavors. 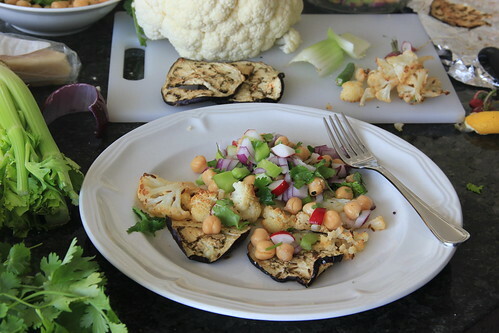 Before Vipul reaches that point, I made him a bold and spiced eggplant-cauliflower and chickpeas salad. 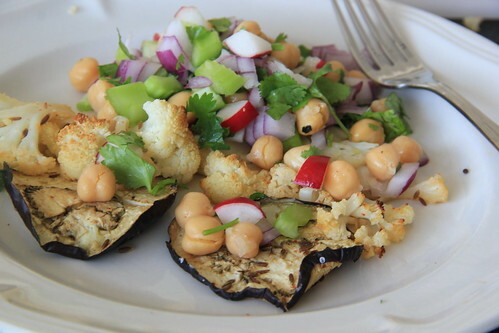 Roasted eggplant and cauliflower make a “warm and nourishing” base for this salad. It has that “feel good” effect of a fulfilling meal on a cold winter night. 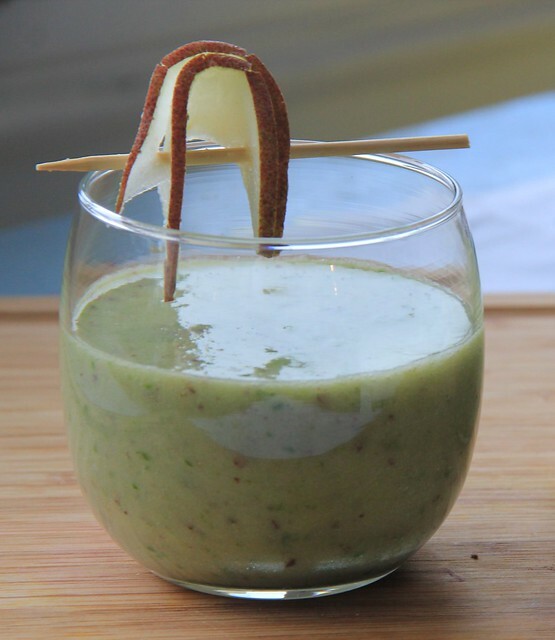 The flavors are reminiscent of Indian curries – cumin, coriander and red chili powder. Paired with protein powerhouse of chickpeas and crunch of other veggies like celery and radishes, this was a complete meal. I topped mine with diced cooked chicken sausage for an extra boost but any other protein would work just fine. Vipul had his as is and was blown away by the flavors of eggplant, roasted cauliflower and lemony-mustard flavors of the chickpeas. Don’t be daunted by the long list of ingredients. The hands on prep is really easy and mostly it is the oven that does the work. 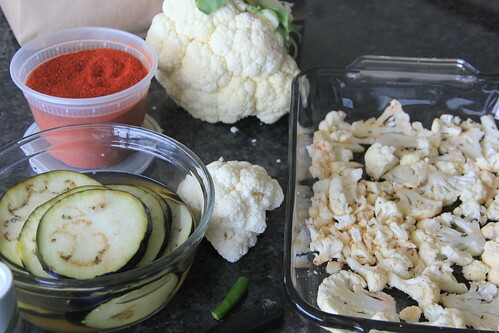 It roasts and caramelizes the eggplant and cauliflower and brings out their natural flavors. 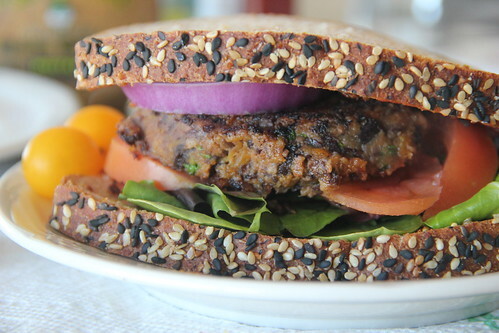 This is probably the only way I will eat eggplant – ever! Use a Chinese or Indian eggplant that has a thin skin rather than the globe one that I used. The skin was a bit tough on roasting. 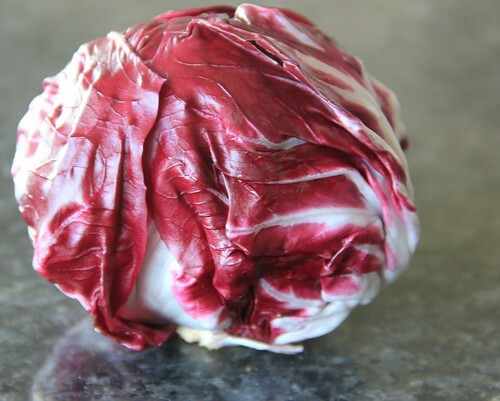 Or maybe I should have peeled it before roasting. 1. Pre-heat oven to 375 F.
While the oven pre-heats, lay cauliflower and eggplant on two baking sheets in a single layer. ( I used a bowl and foil as I don’t have baking sheets in temporary accommodation here; but baking sheets will give even results). Lightly sear the eggplant in a cross hatch/tic-tac-toe pattern with knife on both sides. 2. Oil the eggplants and cauliflower. Then add the spices (cumin, coriander,, chili) and salt. 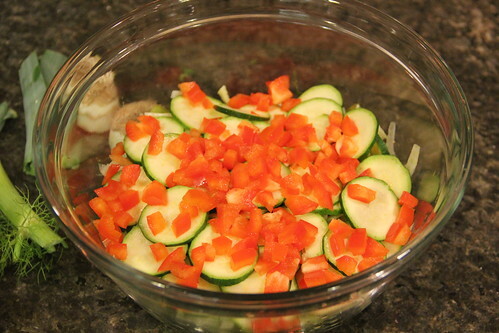 Toss the veggies to make sure that the spices cover it. 3. 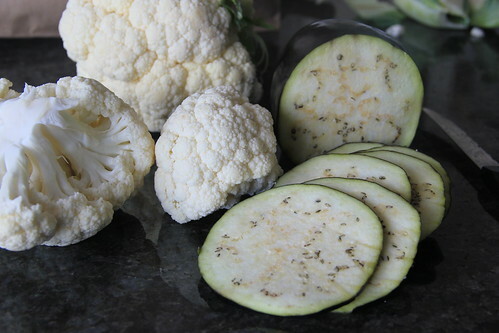 Bake the cauliflower and eggplant for about 30 – 40 minutes till they are golden brown. Depending on how thick the eggplant slices are they may need additional time. Keep them in till they looked cooked and their sides curl up. 4. In another bowl, mix mustard, lemon juice and salt. Marinate the celery, edamame, chickpeas, red onion and radishes in the mustard-lemon mix. Taste and adjust seasonings. Set aside. 5. Once the cauliflower and eggplant are done, take them out. 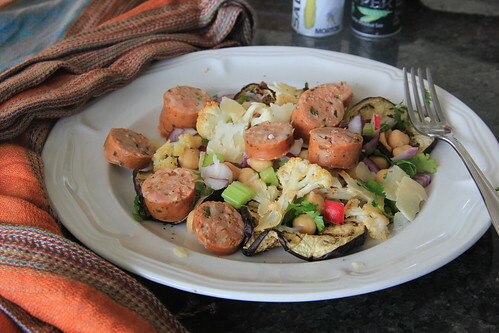 Start with eggplant as a base, layer cauliflower over the eggplant circles and then top with the chickpeas-veggie mix. 190 lbs!! Are you sure? I asked Vipul last Thursday as he walked in from his doctor’s appointment. Yea, and even the blood pressure is higher than normal. And I suspect my triglycerides are also on higher side. It’s not the first time we are dealing with weight gain and high BP. Vipul has been struggling with this for years now and with exercise and diet we have managed to keep it under control. But the last couple of months have been especially stressful. Between the apartment hunting, school search, finding a doctor for both Varun and me; its been hectic to say the least. 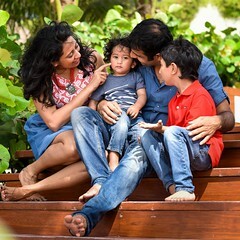 Not to mention some drama on my part as I adjust to staying at home while Vipul and Varun go off in the mornings to their busy schedules.Also we have been eating out a lot while out between appointments. 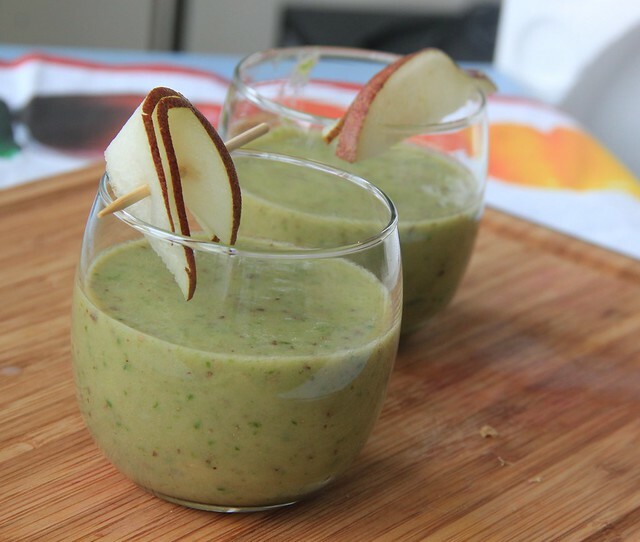 So, now that we are a bit settled on apartment/school/doctor/midwife/car front, its time to focus on eating right. 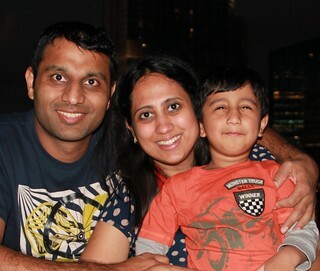 Playing with Varun and walking to work has incorporated some exercise in Vipul’s routine; its time to eat more veggies. The other flip side to our move also has been that Varun has stopped eating veggies. He will have occasional carrots and peas but nothing else. Our hope is that by incorporating more veggies in our daily routine, we will set a good example for Varun! 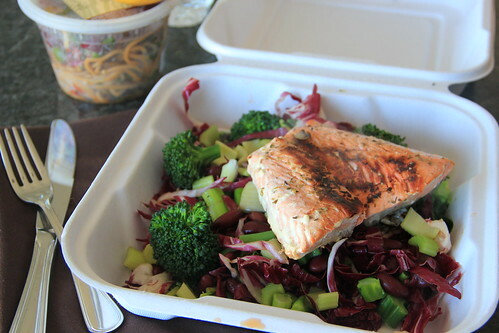 South Beach diet has worked well for us in the past – with its focus on veggies, fruits, proteins, complex carbs and fats. Its easier for the entire family to adopt this diet. Vipul is starting with Phase One to eliminate cravings and kickstart his diet while Varun and I will be on Phase Three which focuses on healthy eating habits for life. Their one principle I love is to eat a lot of variety of vegetables at every meal and eat good fat to help body absorb vitamins. 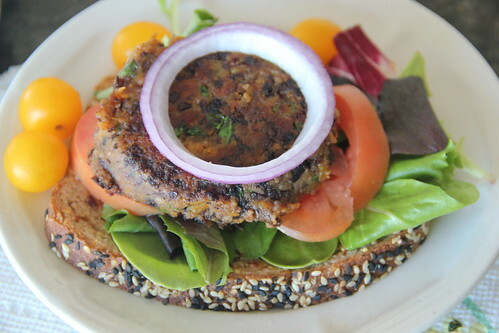 That’s one thing advocated by couple of other blogs that I follow: 100 days of Real Food and Deliciously Organic. 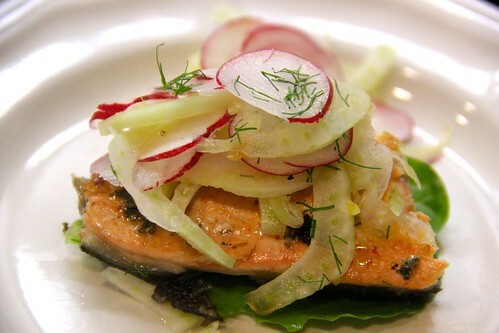 To start the diet, I made fennel and radish slaw to go with salmon. 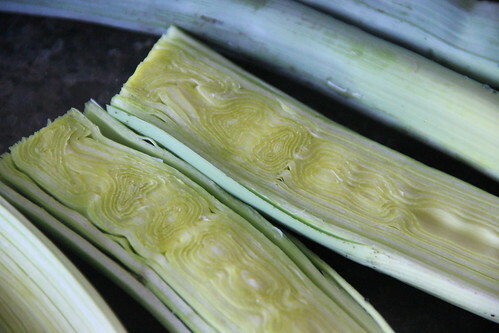 I have never cooked with fennel bulb before so I didn’t really know what to expect or if Vipul would like it. I know it has a strong taste which can be mellowed with lemon juice. 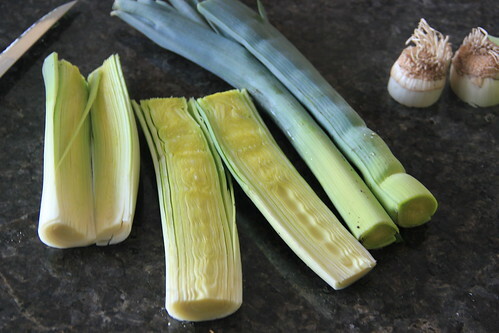 So I went ahead, thinly sliced the fennel bulb and marinated it in lemon-orange juice, seasoned it. 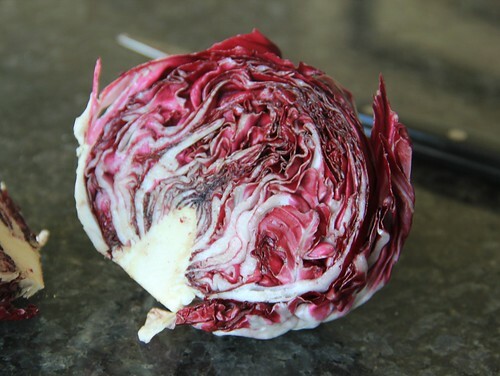 And served it raw with thinly sliced radishes. Layered over baby spinach and skillet grilled salmon, it was a pair made in heaven. 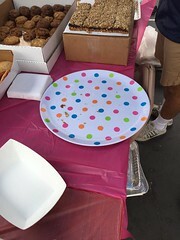 It didn’t taste like diet food at all. 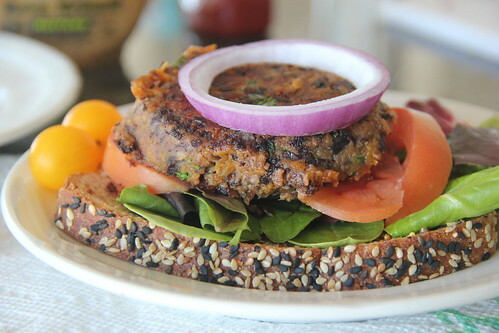 Flavorful, crunchy, colorful – now we are talking. 1. Mix all the citrus dressing ingredients in a bowl (from lemon juice through salt). 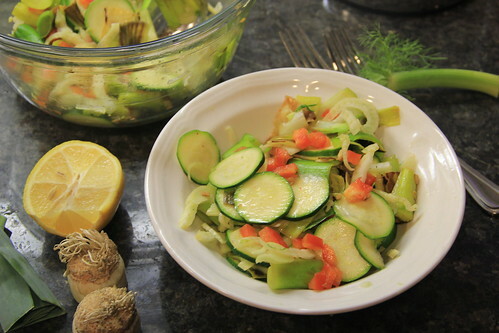 Place the fennel slices in the citrus dressing for at least 30 minutes. 2. 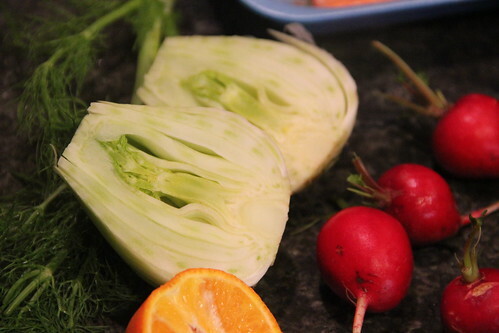 Remove fennel slices from the citrus dressing and layer them with radishes. Spoon the dressing over the slaw. Or over the fish.